Artist Michael Hanrahan with his paintain, The Horse-Drawn Carriage at Windsor, and the invitation to Buckingham Palace. 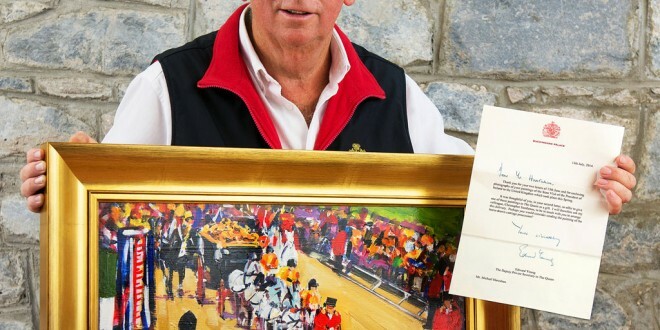 NORTH Clare artist, Michael Hanrahan has been invited again to Buckingham Palace to deliver his painting, entitled The Horse-Drawn Carriage At Windsor. Her Majesty, Queen Elizabeth gave Michael permission to paint various scenes from the historic visit of Irish President, Michael D Higgins to the United Kingdom last April. She also said she wished to see the work on completion. She has now written to the artist, accepting Michael’s gift of this painting. The painting depicts the Australian State carriage as it made its way to Windsor Castle, carrying the Queen and President Higgins. Michael will deliver the painting to Buckingham Palace at 12.30pm on Monday, October 6. This is the artist’s second visit to the palace, having presented a further painting, entitled The Queen at the Garden of Remembrance. This painting followed Queen Elizabeth’s historic visit to Ireland in 2011. Michael was the only artist accredited by the Department of Foreign Affairs to capture this visit on canvas. The Queen at the Garden of Remembrance is now in the Royal collection and makes Michael the only living Irish artist with work in her collection. Michael also has paintings hanging in the White House in Washington and the Kennedy Library in Boston. As well as being an art lecturer with Cunard International, Michael was recently appointed as artist-in-residence at Trump International in Doonbeg. 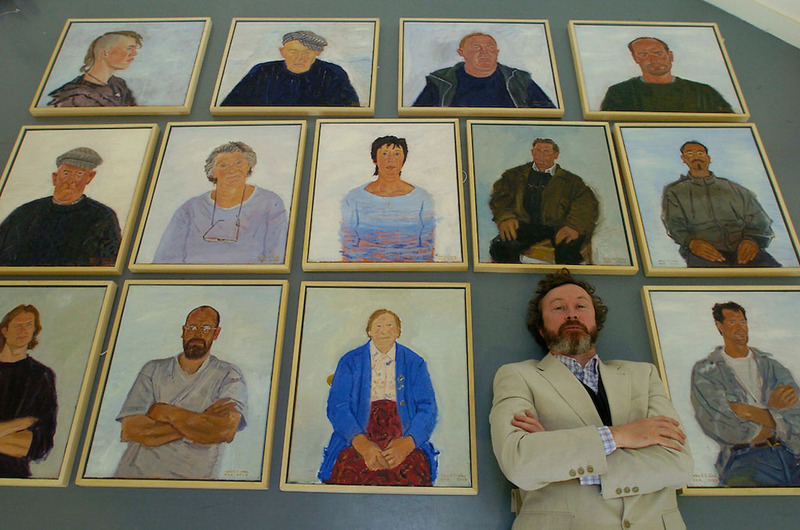 He lives in Lahinch and has a studio and gallery in Ennistymon.